Grand Jury records - boringly good? 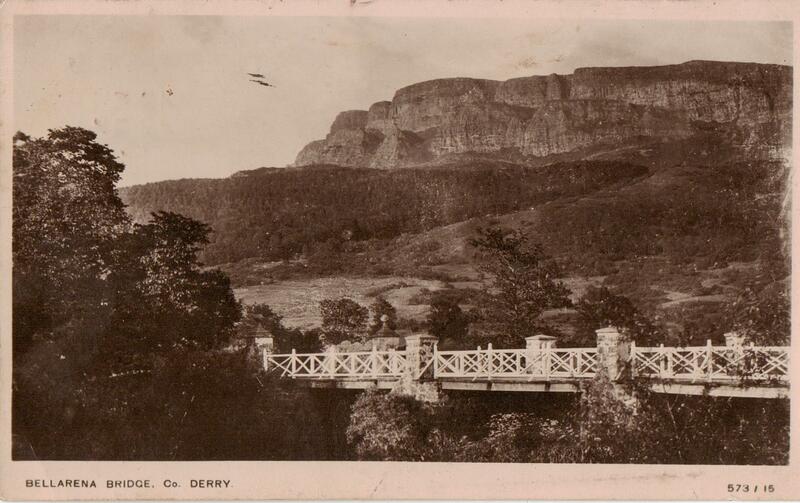 In 1765 an act of parliament transferred the responsibility of maintaining major roads to the county grand jury. Grand juries were also allowed to finance road building by being able to impose a county-cess. Later an act was passed permitting parishes to raise an extra tax to maintain minor roads, while an Act for the making of narrow roads through the mountainous unimproved parts of this kingdom permitted grand juries to raise money for this purpose also. 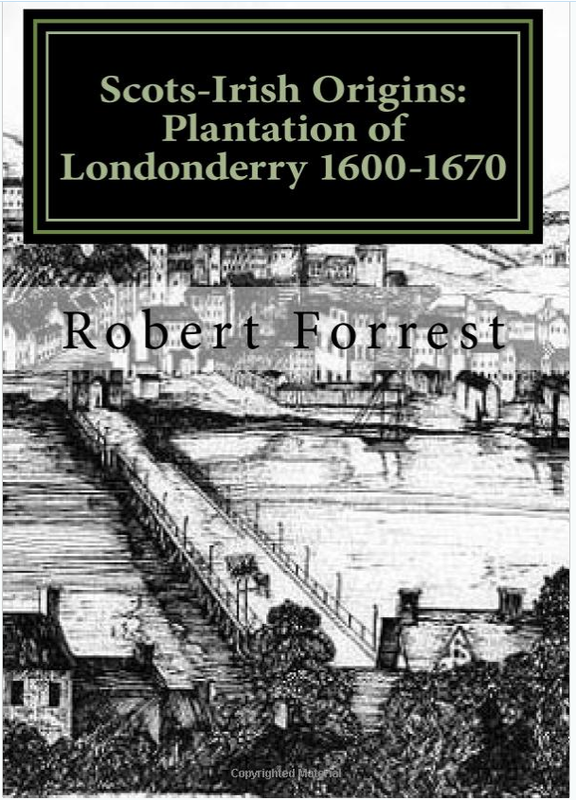 The result of this legislation was a dramatic increase in the number of miles of road in the province, so that by 1800 Ulster had one of the densest road networks in Western Europe.The grand jury was selected by the high sheriff from the leading property owners in the county. 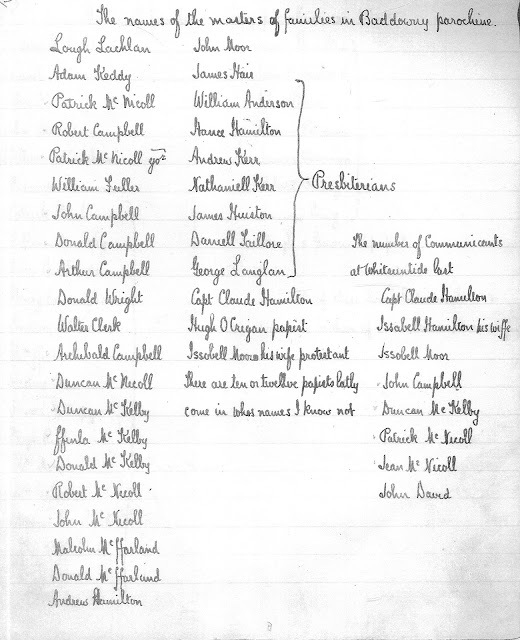 Its membership was almost exclusively Protestant and was often chosen from a limited group of well-connected families. Catholics were forbidden to serve until 1793. Grand Jury indictment book, 1745–1809 - TYR4/2/1. This gives the names of prosecutors, the names of the persons indicted, the offence and the finding of the Grand Jury. The book is badly damaged. 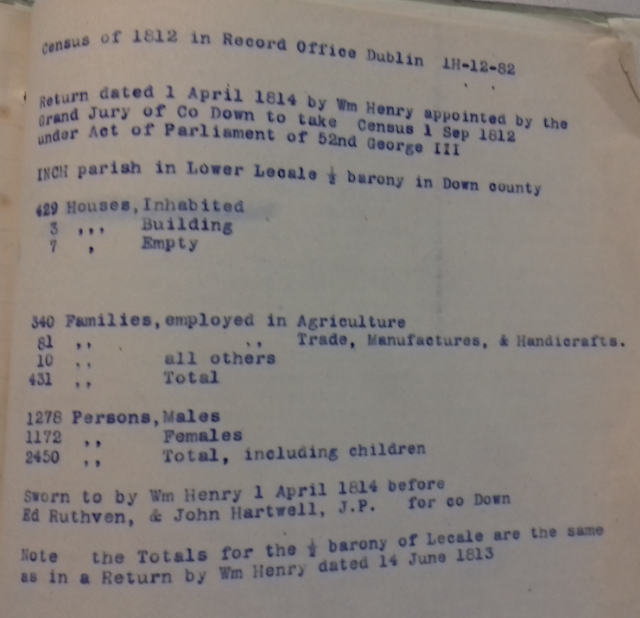 The Grand Jury records are an important source for the local historian as they note the development of the infrastructure on townland, parish and baronial lines. They also include the names of many local people as often houses and farms were listed as markers for the building or repair of roads in rural areas. Unfortunately, they are relatively boring to read as they contain long lists of road building and road repairs but they can be valuable for the genealogist and local historian alike. Two examples are outlined below. 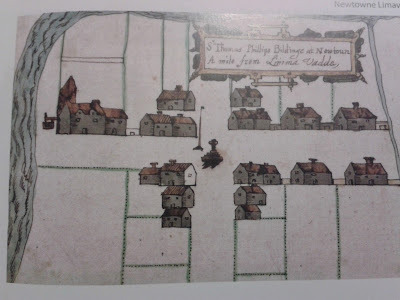 From the warrant book for Carrickfergus we learn the location of Ezekiel Milliken's house about 170 meters from Ballock Hall bridge (one perch is equivalent to 5 metres). We also learn that Ezekiel was a glazier by trade and fitted window panes to the Court House and Jury Room in 1813. 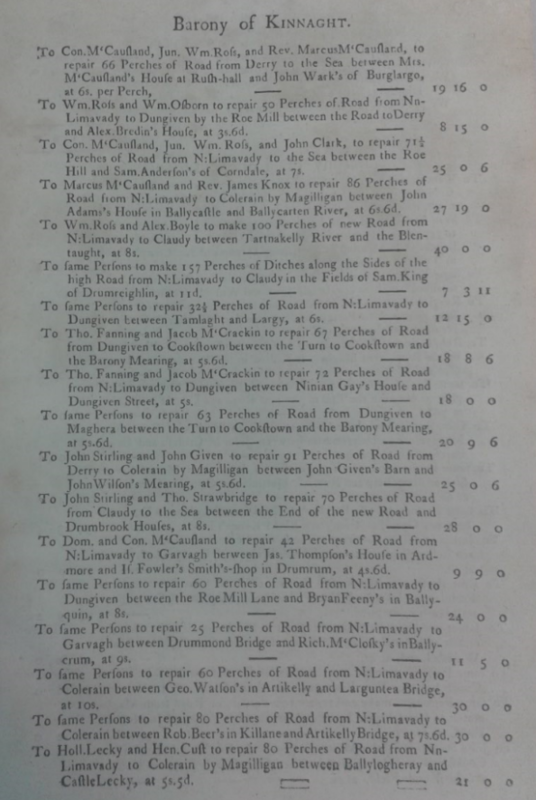 No.5 We present the sum of £6-7-5 to be levied as above & paid Mr John Legg, Mr Daragh & Alex’r Donaldson to repair 28 perches of road beginning at Ezek’l Milliken’s house & ending at Mr Legg’s in the Scotch Quarter road leading from Carrickfergus to Larne. No 11. We present the sum of 5sh, 7 pence stg be rassed [raised] off the County & paid to Ezekal Milekan for Glazing sundry pains in the Court House & Jury Room. We present the sum of £8-18sh, 8d stg to be raised off this county & paid to John Legg Esq, Sir Wm Kirk & Alex’r Donaldson to repair 34 perches of road from C’Fergus to Larne at sundry places commencing at the little bridge near Ballock Hall and ending at Eze’l Millikin’s house being at the rate of 5sh per perch including 8sh, 6d overseers wages. The second example from the present book containing the barony of Keenaght (Limavady) contains a reference to a John Sinyard residing in the parish of Magilligan. Sinyard appears to have worked on the Gage estate and is also listed in the presentment book as a sub-constable for the barony of Keenaght. In addition we find that a new bridge was built across the river Roe at Bellerena for the princely sum of 100 pounds paid to local gentry Conolly McCausland, John Stirling and Marcus Gage. These three men were local landlords - Marcus Gage and Conolly McCausland were actually brothers. Marcus took the name Gage in order to inherit the Gage estate in Magilligan inherited by his mother Elizabeth Gage McCausland from her brother Hodgson Gage. Marcus Gage married Julia Stirling in 1788.